The makers of EOS lip balm have resolved a federal lawsuit seeking class-action status that claimed the products give customers painful rashes and blisters. Under the settlement, EOS has agreed to include additional information on product packaging and will address customers’ concerns as well. “Our products are safe – and this settlement confirms that,” EOS’ corporate adviser Teneo Strategy said in a Jan. 28 email cited by Courthouse News. “Our lip balms are hypoallergenic, dermatologist-tested, made with the highest quality ingredients, meet or exceed all safety and quality standards set by our industry, and are validated by rigorous safety testing conducted by independent labs,” EOS said. The plaintiff’s attorney Mark Geragos filed the class action, and said EOS has promised to provide extra information on its labels. He says he’ll file a motion to dismiss the complaint. 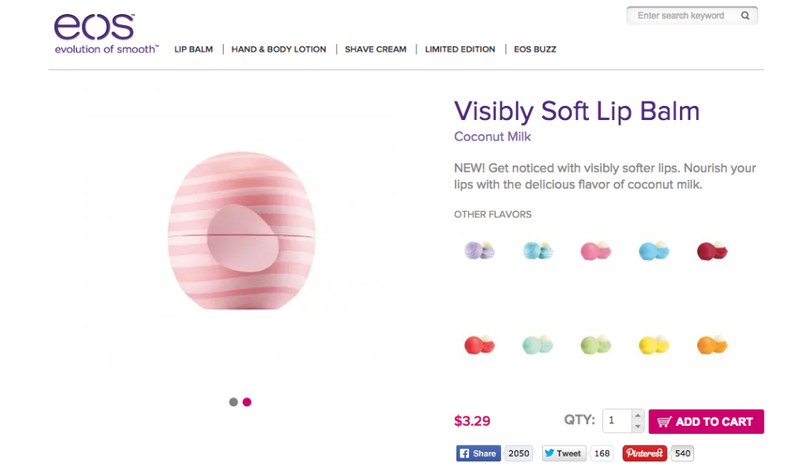 The lawsuit had accused EOS of falsely claiming it sells organic lip balm, because it contains several ingredients the Food and Drug Administration considers to be “major allergens,” such as sodium hyaluronate, ascorbyl palmitate, tocopherols, and butyrospermum parkii. The plaintiff said that because those ingredients weren’t listed, she and others suffered painful injuries. The suit sought class certification, restitution, disgorgement, injunctive relief and compensatory and punitive damages for fraud, concealment, breach of warranty, unjust enrichment, consumer law violations and unfair business practices.